This Mono drape has a triangular opening, and adhesive strip allowing you to fix the drape onto the chin of the patient. An adjustable aluminum band that runs along the upper side of the triangular opening allows for safe positioning on the nose of the patient. 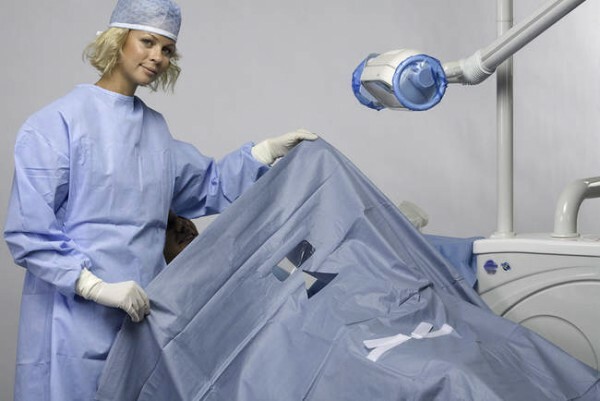 To protect the patient’s eyes from any splash or accidental injuries, the drape also has a transparent protection window made for easy and immediate communication between the patient and the clinician, helping you avoid difficult situations.